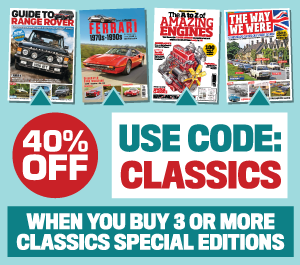 The December 2017 issue of Practical Classics is bursting full of exciting content! For starters, we showcase two incredible restorations: A Triumph GT6 which has been transformed into a showroom condition classic and a MkIV Cortina, rebuilt to perfection by the owner and his late friend. We show you how to buy one of the greatest superminis of them all – the Peugeot 205 – and introduce our newest motoring writer, Wheeler Dealer Ant Anstead. He gives us the gossip on the world’s favourite classic car TV show. Our staff also show you what they’ve been up to with their cars – including a ‘Mr Bean’ Mini, once owned by Rowan Atkinson’s son. It’s being restored in time for the Lancaster Insurance NEC Classic Motor Show – the details of which are all in the latest issue. Plus, the greatest buying, maintaining and restoring advice available – all from our team of experts. This month we show you how to fit valves and guides and ask whether it’s best to revive or replace balljoints. There’s also a handy guide to TIG welding and advice on how to service your Cortina MkIV/V. 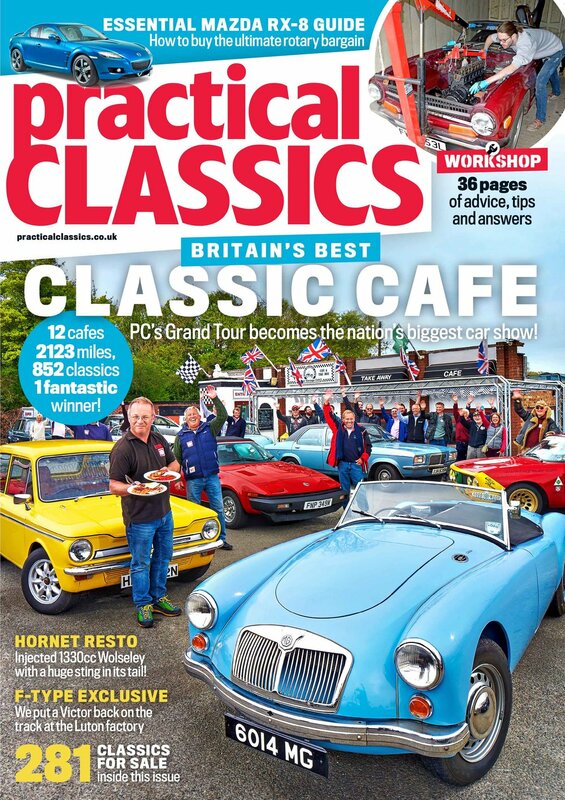 No other magazine does what Practical Classics does! 1958 saw the opening of the Preston By-Pass, the debut of Subscriber Trunk Dialling (which would eventually cause the demise of the famous instruction ‘Press Button “A” caller’) – and a new form of café somewhere in Berkshire. In short, travel and communication were on the verge of a seismic change and three new cars from BMC reflected the spirit of this age. And so, where better to meet than the site of one of the oldest Little Chefs in the UK? Read all about it in the latest issue! The story of Brian Cox’s Triumph is truly unique. He bought his GT6 MkIII brand new on May 4, 1972 and has been the sole guardian of this little coupé ever since. Time passed and each time Brian looked at his decaying pride and joy, he would think of restoration. The signs that this Cortina 1.6L would one day need serious attention were always there, but it was a long road between daily use and discovery of the full horrors underneath. By 2009, owner Kevin Burns decided to have the body and paintwork sorted so he gave the car to a paintshop local to his home in Ayrshire, Scotland for what he hoped would be a sound investment. And so, for a while, it appeared - the Cortina came back looking a lot smarter. In 2011 Kevin’s wife Fiona discovered she was pregnant and life soon changed dramatically, with old Fords taking a back seat. Kevin admits to leaving the Cortina outside for three years. ‘It rotted,’ he says. 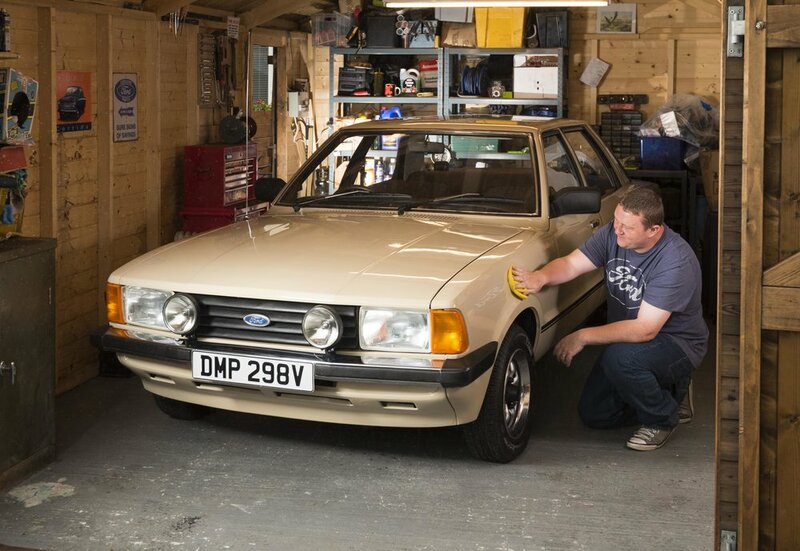 ‘With my jobs as a driver and as a dad, the Cortina was overlooked.’ Then came a stroke of good fortune... Read this month's Practical Classics for the full story! Car restoration guru and engineer extraordinaire Ant has joined Wheeler Dealers - and now Practical Classics! You can read his new column in the latest issue. Editor Danny buys a Renault Avantime and the lads take a vintage Vauxhall into the night on a mission that'll chill your soul!